Aero Med Express offers flights to and from any medical facility of your choice in all 50 states. Our air ambulance and medical jet services are available to patients needing both emergency and non-emergency medical transfer and are offered 24-hours a day, with friendly staff ready to coordinate all of your transport details and needs. 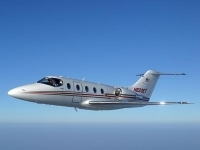 Aero Med Express medical jets are equipped with the latest in medical technologies, and are safe, sturdy, and secure. Each air ambulance is staffed with experienced, medical professionals who will be by your side during your flight. Our medical jet is top of the line, and we pride ourselves on operating with the safety of our patients as our top priority.